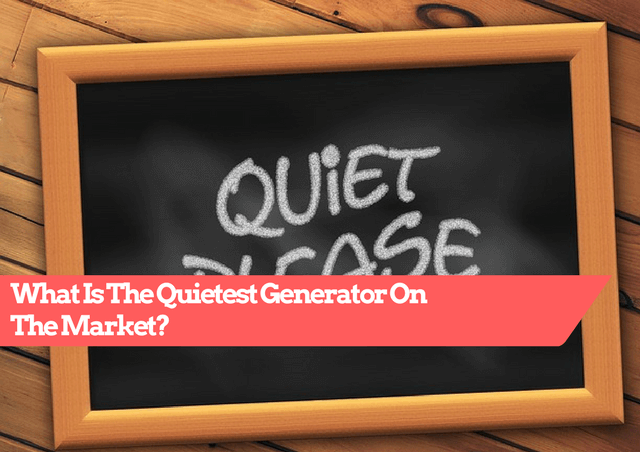 What Is The Quietest Generator On The Market In 2019? / What Is The Quietest Generator On The Market? Everyone knows how frustrating a power outage is. No lights work, no appliances work, living without power seems impossible in this day and age. Well, when you are in the middle of nowhere, you usually just have to make do without and hope that your phone stays charged. Or that you have enough batteries for your flashlight. With a generator, you can have access to power no matter your location. When you are away from civilization, you also want to be away from the sounds of civilization, and unfortunately many generators are quite loud. Loud noise ain't good for health too. 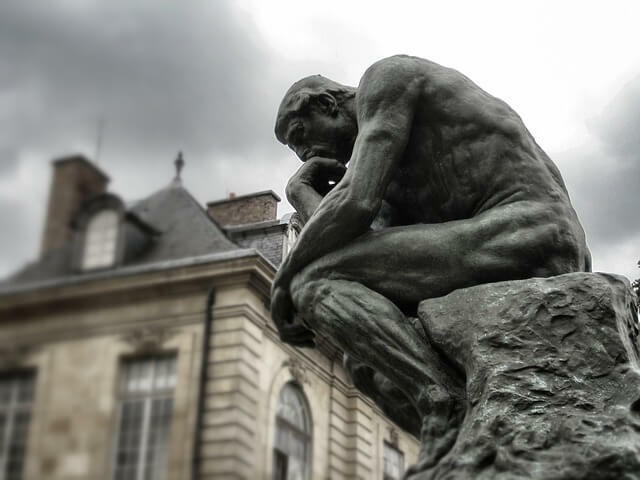 To really be off-grid and get the most out of the experience, we have compiled a list of the five quietest generators. If you are looking for a quiet portable generator for camping, the Champion Power Equipment 75537i is one of the best on the market. This generator can provide up to 3100 watts of power. And, on a full tank of gas, run up to eight hours. This generator also has a remote startup feature which allows it to be started or stopped from up to 80 feet away. This generator is more than capable of powering a refrigerator! So no more worrying about keeping coolers filled with ice on long trips in the wild. With uneasy to read operating system as well as large handles and a pair of wheels, this generator is easy for anyone to operate and transport. Another quality generator from Briggs & Straton, the P2200 is the perfect, lightweight yet powerful, generator for every occasion. Weighing in at less than 60 pounds, this generator is easy to move to your campsite, no matter the location. Although it only is capable of producing 2200 watts, as compared to the 75537i’s 3100 watts. The P2200 is more than capable of powering everything from fans, to a small refrigerator, to recharging your phone. This small drop in power capability also comes with a drop in price, which makes this the perfect option for survivalists that want to save a bit of money without compromising on quality. According to the US Department of Health and Human Services, this small yet powerful generator produces a sound comparing to a normal human conversation. With this generator, you will never have to worry about a loud, obnoxious, generator keeping you awake at night. You will need this to hear what's going on around you. At only 54 pound, and having a handle for easy transportation, this generator is designed with camping use in mind. The 56200i also comes with a USB port, which makes charging your phone quick and easy. Survivalists should also take note of the EF2000iSv2. Not only is this generator one of the quietest generators, it has Smart Throttle. This feature varies engine speed based on how many watts are currently needed. This lessens fuel waste, which both saves money and lessens the amount of pollution being pumped back out into the environment. At a maximum production of 2000 watts, this generator is more than capable of running whatever systems you require. At less than 45 pounds and at 2.2 cubic feet, this quiet generator is perfect for the survivalist who wants something powerful yet portable. When camping, you not only need one of the most quiet generators, you also need something portable. If portability is high on your list must-haves, EF1000iS is for you. This small 1000 watt generator is the lightest of the group at only 27.6 pounds. This makes it perfect for wherever your adventures may take you. The EF1000iS is also backed by a two year warranty. Optimized for noise reduction, and capable of recharging 12 volt batteries, this generator is perfect for a survivalist that owns a boat or an RV. In addition, this generator has a wireless start feature, which makes it easy to use. A quiet, portable generator should be near the top of every survivalist’s must-have list. Especially away from civilization, generators have many uses and can make your trips much easier. From recharging your phone or other emergency devices to powering a refrigerator or microwave, every survivor has some use for a generator. When choosing a generator, you need to decide what features you want. There are a variety of wattages available. Take note that the amount of power that you need will depend on what appliances you want to run. If you will be charging your phone frequently, a generator with a built in USB port may be a desirable feature. However, no matter what you want, with a little time you will be able to find the portable generator that works best for you.